Single mechanical seal are often used in applications that do not require a pressurized barrier between the tank contents and the external environment.Sealing is accomplished by a spring loaded seal headrotating against a stationary seat.Standard and special seal materials are also available. 2001, 2002 sereis seal used for P<0.6MPa, t≤80, Vmax<3m/s. 2002H has waste collector. 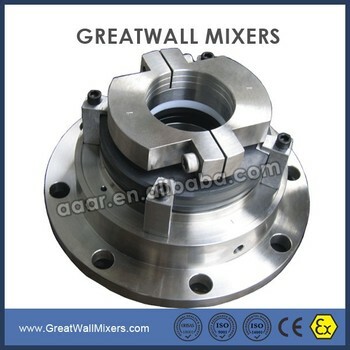 This warranty period is (12) months after first installation of mixers or (18) months after its shipment from our factory, whichever occurs first. GREATWALL has an excellent service team including first-class mixing technology experts, professionally mechanical engineers and highly experienced technicians. We can support you to install your mixers properly and get the optimal performance.